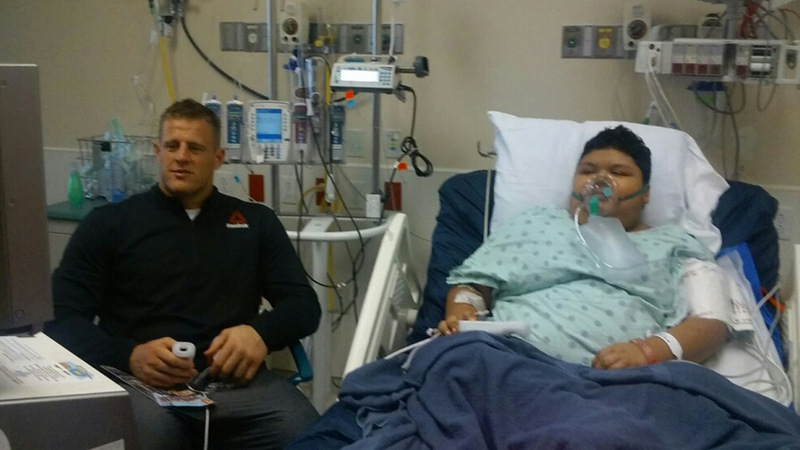 JJ Watt visited Manuel Jimenez at the hospital Monday. HOUSTON -- A young boy who was wounded in a drive-by shooting in southeast Houston last week got a special visitor in the hospital - JJ Watt. Manuel Jimenez remains in the hospital following a drive-by shooting that claimed the life of his brother.